Hiya Face Value Friends! 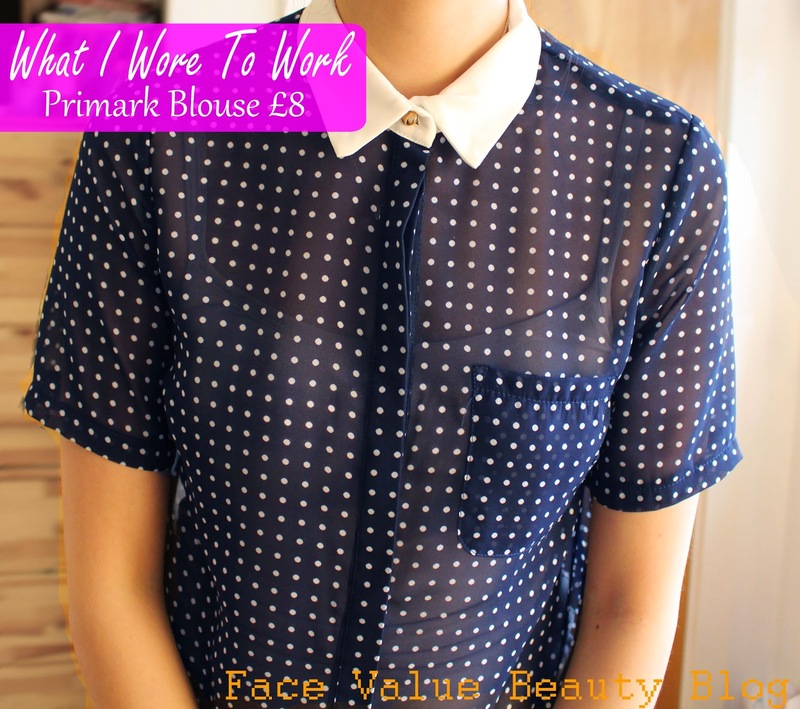 Today’s What I Wore To Work Wednesday features two beautiful blue pieces from my favourite budget fashion brands – Forever 21 and Primark! So, confession time, I went to Primark TWICE in 2 days. I think I may have a problem. Though, the first visit was a planned trip and the second was because my cousin was visiting from Australia and it would have been rude NOT to take her – Primark is basically a tourist attraction…right? For more pictures, keep reading! from one of my favourite haunts, Forever 21, and is one of the hardest-working pieces in my wardrobe! It goes with everything! toeing the line of looking conservative – the perfect balance of edgy vs smart that I aim for in my work outfits! Primark! 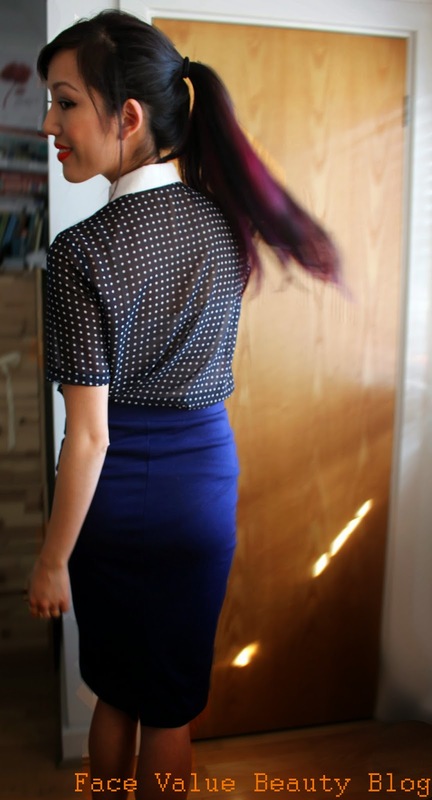 As you may have guessed from my Smart Shirt Alternatives post, I absolutely adore sheer shirts and blouses. 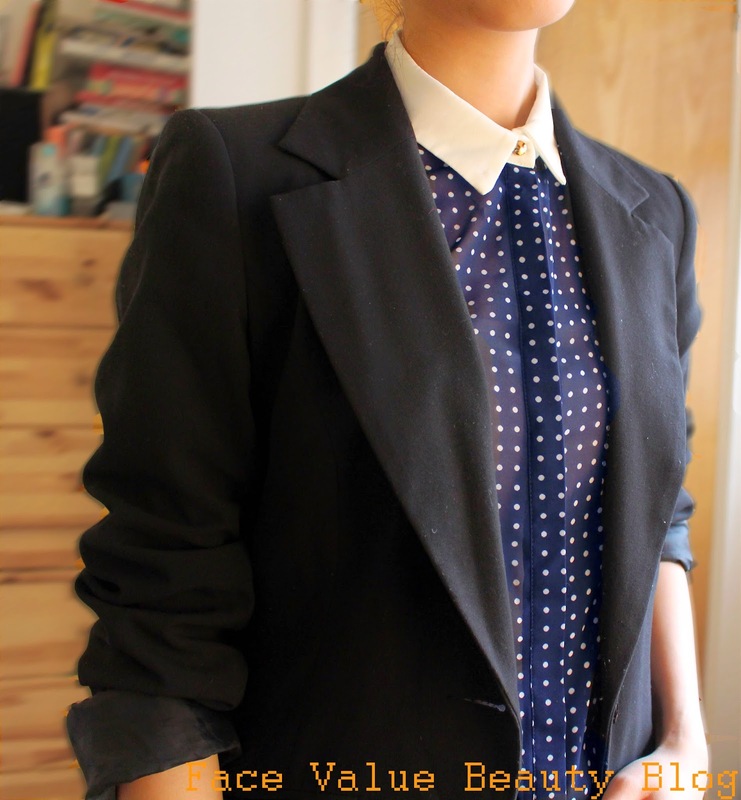 This blouse can be smartened up with tailored trousers, a pencil skirt – or even a fitted blazer like I’ve worn above. Sleeves pushed up of course. I’ve teamed the outfit with a splash of orange lippy – No 7 Gay Geranium is the perfect loud lip to set off these blues! What do you think? What’s your go-with-everything piece? What’s the most times you’ve been to Primark in a week before?! Previous Post VIDEO: My Skincare Routine for Combination/Oily Skin! Next Post My Quest For Purple Hair via BLEACH LONDON. Hahah, I feel your primark debt pain! Thanks Ahleessa – it's No 7 in Gay Geranium, my favourite shade! I hope I can come up with more ideas for you! Booooo, hope one opens soon!